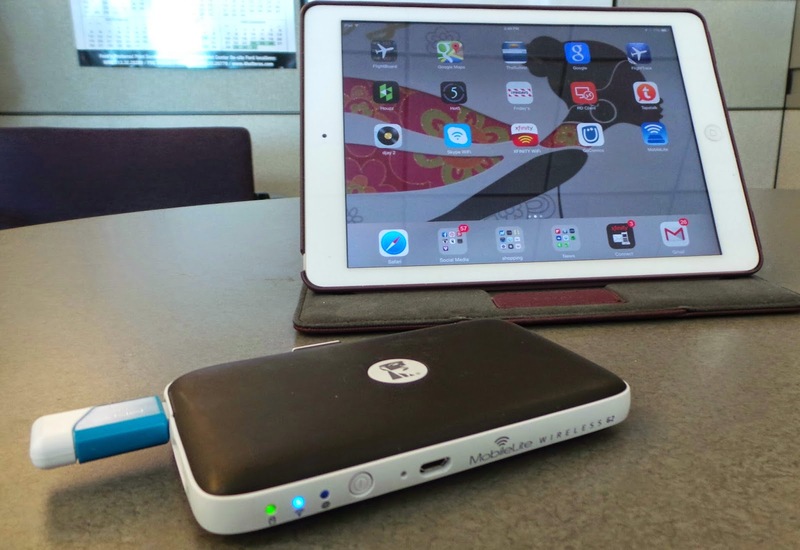 Wirelessly share content with Android, Apple, and Kindle Smartphones and Tablets for $50! I have had a love affair with my iPad for many years now. Even though I think Android has the best smartphones, I think the Apple iPad is the best tablet and I find myself using it everyday for consuming lots of content like YouTube videos, movies, and eBooks. I love taking my iPad with me on vacation as a mini entertainment center. But there is one thing that really bothers me about the iPad - the fact that it does not have a USB port nor an SD card slot so I can watch videos that I have on my USB drives and SD cards. Now I know I could download the videos on my USB drives and SD cards to iTunes and then use iTunes to upload the movies to my iPad, but who wants to go through all that trouble (it would take hours of work) just to get a few movies on a tablet? I hate not having a USB port so much that I thought about getting rid of my iPad and buying a Microsoft Surface tablet instead since the Surface has a full size USB slot. But I have finally figured out a cost effective way to watch videos and view content (files, photos) on my iPad that I have stored on USB drives and SD cards. And that solution is made by Kingston and is called the MobileLite G2 Wireless Media Streamer. The MobileLite G2 is the second generation of a device manufactured by Kingston (best known for their super fast Kingston SD cards), that allows users to wireless share content plugged into the MobileLite device for up to 13 hours with Android, Apple, and Kindle smartphones and tablets. I have been looking for a solution like this for years so I was very happy when Kingston sent me a complementary MobileLite G2 unit for review. 6. 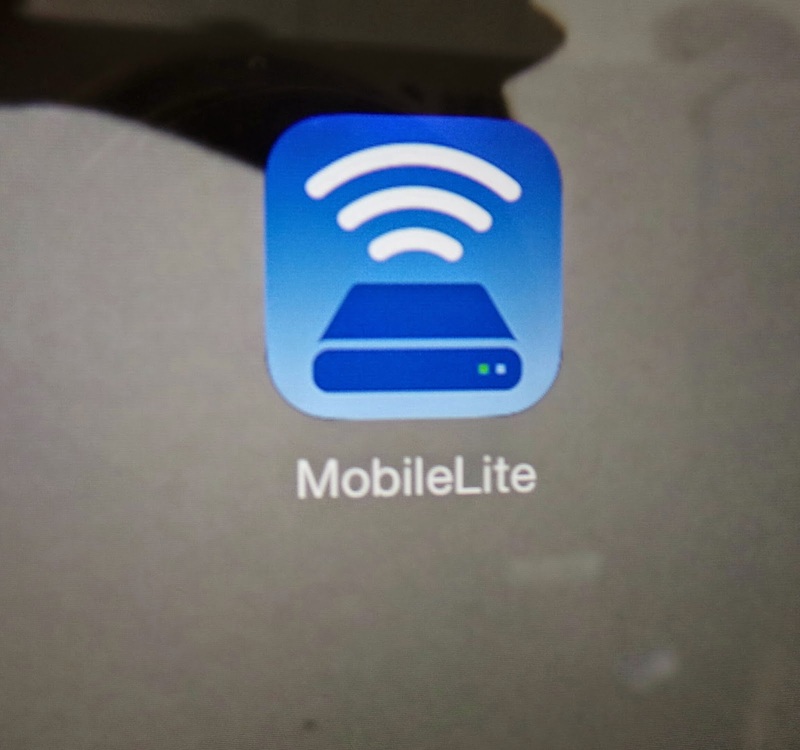 Once your device is connected to your MobileLite network, just open the MobileLite app and you can now see all of the files on the UBS drive and/or SD card that are plugged into the MobileLite device. Just click on the file that you want to access. Sharing can save you money! The MobileLite G2 creates its own Wi-Fi signal allowing connection of up to 8 devices for photos and data, as well as stream HD movies on up to 5 devices. Imagine being able to stream the same movie to all your kids devices while traveling in the car or on a plane. Or sharing family photos on your USB drive at the reunion with up to 8 relatives on their smartphones and tablets. Or for business meeting being able to share a business presentation with a few of your coworkers. And you can wirelessly move the files from the USB drive and SD card to your mobile devices. When you want to revoke access to your MobileLite G2, just change the password on the network. In addition to sharing content, the MobileLite G2 can also be used to power your smartphones and tablets. The MobileLite G2 has a 4640 mAh 3.8v battery that I used during the recent power outage in Detroit to keep my smartphone alive until the power came back on. 4640 mAh is enough power to charge most smartphones 2-3 times!!! And the MobileLite G2 can also be used in hotel rooms or homes that only have an Ethernet port to create a secure wireless Internet connection so you can connect multiple devices. I did not test this feature, but the instructions say to just plug the Ethernet cord into the side of the MobileLite to make the connection. With all the great functions that the Kingston MobileLite G2 does, I expected the price to be in the hundreds. So I was very surprised when I found the Kingston MobileLite G2 retails for only $70 and that the Kingston MobilLite G2 can be purchased on Amazon for as low as $50!! The Kingston MobileLite G2 is the right device with the right useful functions at the right price. And who could ask for any more than that? This is an awesome device for the price which is why I have included the Kingston MobileLite G2 in the FREEISMYLIFE 2014 Holiday Gift Guide.